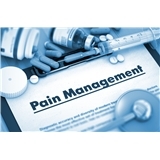 Texas Pain Physicians (Dallas) - Book Appointment Online! I had to fill out paperwork & didn't get there 30 minutes early to do so. So I was his last patient to be seen. My appt. was for 4:15. I got out like 6:00pm. But I was very pleased with Dr. Kirfar. He is very friendly etc. Moreso than any Dr. besides my P.C. I am very pleased with him. This practice sees patients at 14 locations.